When completing passenger rides, we have created a four-step process that the drivers need to follow at all times. Navigate and drive to passenger’s pickup location. Pick up the passenger and mark them on shuttle. Navigate and drive to the passenger’s drop off location. Drop off the passenger and mark them off the shuttle. The rides in the app get arranged from nearest to farthest to the shuttles’ current location. Quickride recommends that the Driver starts with the passenger at the top of the list or the one closest to them. And then, work their way down the list. It’s important to follow this order when picking up passengers because of ETA. This ETA is visible for both the passengers and the Service Team. The ETA is on the assumption that the Drivers will be picking up passengers on time and in this order. Press “Go” to start driving to the passenger’s location. Click “DONE” once the passenger on boards the vehicle. If the passenger is already at the dealership, skip this step and proceed to step 2. You will be asked “has the passenger entered the vehicle?” click on “YES”. If the passenger is already at the dealership, toggle the ON SHUTTLE slider to “YES”. Then click “GO” to start driving to the drop off location. Once the customer gets off the vehicle, press “DONE”. Finally, it will ask, “has the passenger exited the vehicle?” click on “YES” this will close out the ride request. Technology is evolving in auto dealerships. 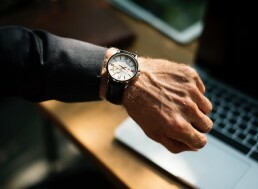 But with so many applications to choose from, it can be difficult to weed through what is the right solution for your dealership. 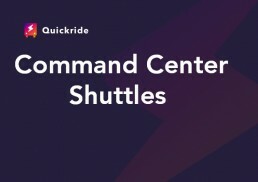 After helping dozens of Quickride partners successfully transform their shuttle management process with our app, the Quickride team understands that for some, taking on a new software can feel like a big undertaking.